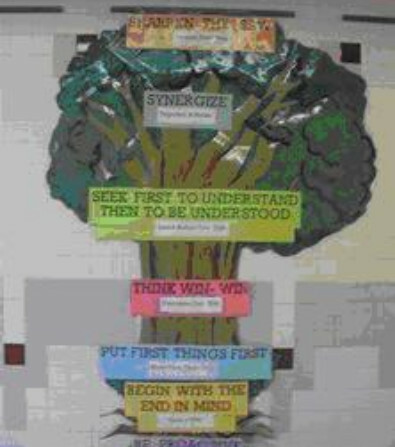 In accordance with the "Leader in Me" process, DeFranco and the Bangor Area Middle School practice Stephen Covey's "Seven Habits of Highly Effective People." These principals instill 21st century skills and practices to nagivate teens through their personal and professional lives. 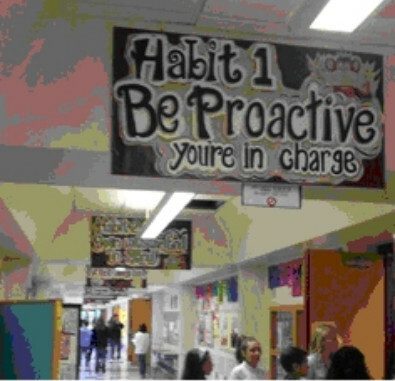 The 7 Habits are creating a culture change within the schools by incorporating the habits into everyday language as well as being visually represented on the walls as daily reminders. Students practicing the habits during the school day learn to carry these habits into their lives after the school day has ended. A leadership development process that is implemented school-wide with the intention to “help develop the essential life skills and characteristics students need in order to thrive in the 21st century” continues to create young leaders. This process involves an implementation regiment and core staff training to ensure the program's success.